My friend Steve refers to his flea market finds as “antiques of a dubious nature.” I’m sure his wife calls them something else. 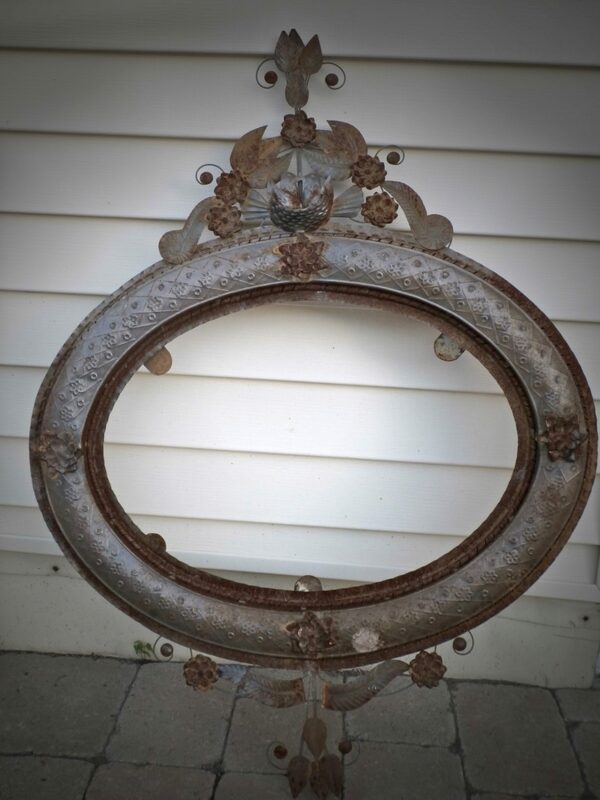 A few weeks ago I purchased this rusted metal frame during my Colgate University reunion weekend, intending to turn it into a wonderful memento. When I brought it to the folks at Architectural Metal and Glass and tried to explain my vision, their reaction was, at best, dubious. I picked it up today and I think they were actually sorry to see it go. Perhaps it is possible to turn an ugly duckling into a swan? 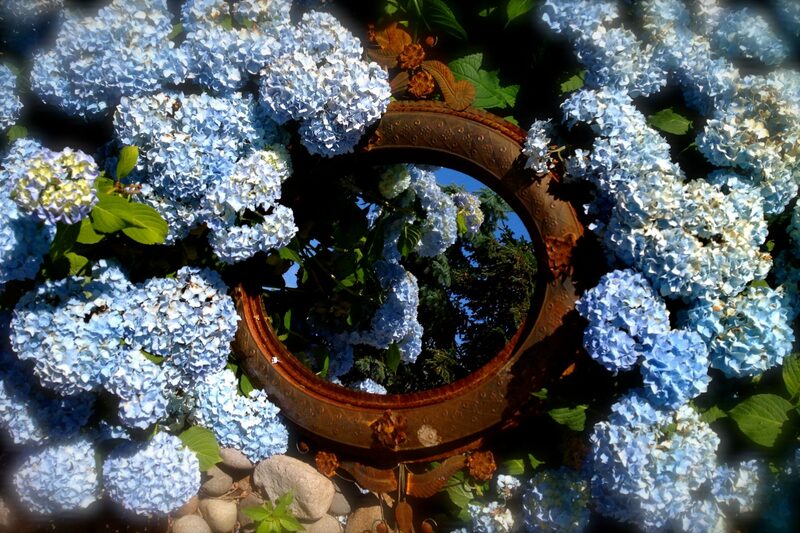 Now if I can only figure out a way to hang this in the garden to reflect the hydrangeas while they last. Nestling it in the shrub is not a practical solution. Can you mount it on a length of rebar at a height that works for you? That’s a great idea! I’ve got to make sure to secure it soundly. I can’t afford 7 years of bad luck! Thank you! I quite fancy that mirror, what an interesting frame and I love what you did with it. Awesome! Thanks. I love it when trash to treasure actually works. And every time I pass it, I remember what great fun I had the weekend I found it. Thanks for visiting.